A SCARCE & DESIRABLE R.F.C. 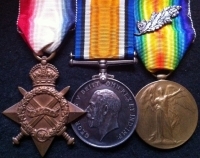 / R.A.F 1914-15 Trio. " TWICE MENTIONED IN DESPATCHES" . To: 4770. 2AM / 1AC. G. KIMBER. 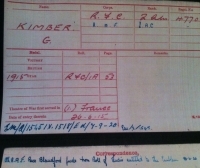 (Previously a Motor Repairer from Aston, Warwickshire ) To France 26th June 1915. A SCARCE & DESIRABLE R.F.C. / R.A.F 1914-15 Trio.
" TWICE MENTIONED IN DESPATCHES" . To: 4770. 2AM / 1AC. 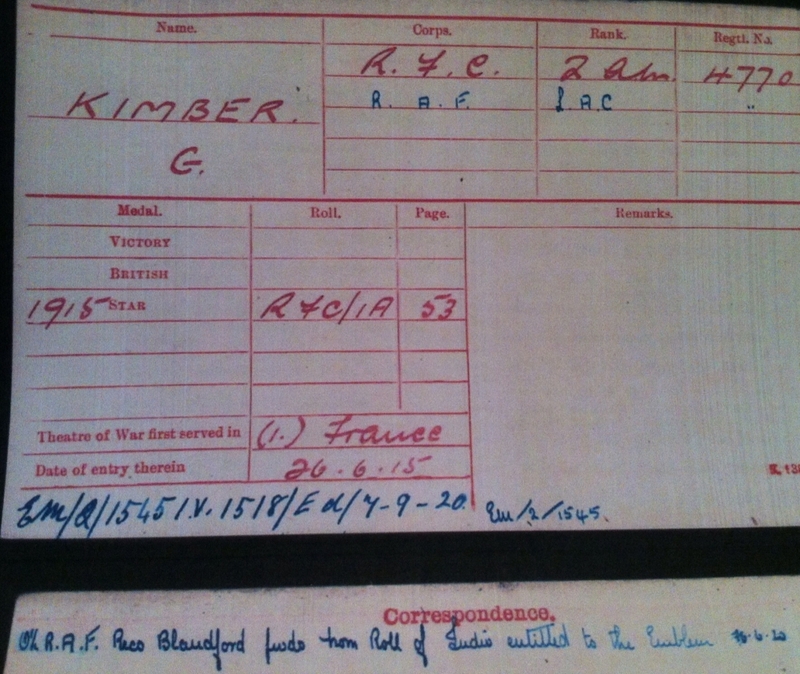 G. KIMBER.